The Mercedes and Ferrari teams are still very closely matched, despite the significant upgrades that both teams have brought to the car. There was concern that one of the two might forge ahead in Spain, which is traditionally a race where everyone brings the first major package of changes to the car. 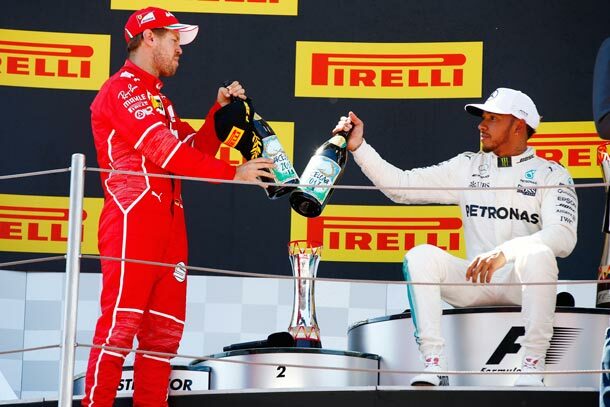 Ferrari had already brought some new parts in Sochi, while Mercedes focussed all its efforts on the Spain upgrade and the result is that the two more or less cancelled each other out. Spain was a terrific duel, with the pair battling on track several times and then having an amicable discussion about it afterwards in the press conference. This is exactly how F1 should be. Meanwhile Red Bull will have mixed feelings from Spain, Daniel Ricciardo got his first podium of the season, which was a positive, but the car was a long way off the pace of the Ferrari and Mercedes cars at the end of the race and Max Verstappen crashed out with Ferrari's Kimi Raikkonen. Force India and Sauber were probably the happiest teams after the race in Barcelona. 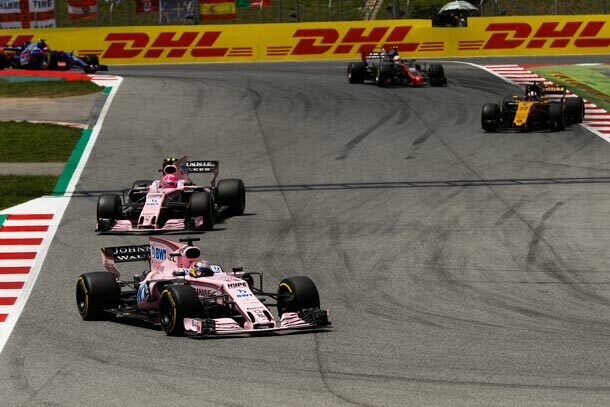 Sergio Perez and Esteban Ocon both had fantastic drives, scoring a combined 22 points on a day when their main rivals for fourth in the championship, Williams, did not score any. They are now well ahead. Meanwhile any points scoring opportunity is lapped up by Sauber, which has got used to scoring only one or two points a season recently. Here they managed to score 4 pts for 8th place with Pascal Wehlein, thanks to an inspired strategy by their chief strategist Ruth Buscombe, who set Wehrlein a huge task to do the first half of the race on a single set of soft tyres. When a Virtual Safety Car was triggered they gratefully took the opportunity to pit Wehrlein, which meant he did not lose places on track and was able to score the team's best result since 2015. One of the more touching stories from the weekend was the sight of 6 year old Thomas Danel crying at the start of the race when his hero Kimi Raikkonen crashed out. Thanks to the quick thinking of a lady on the communications staff of F1, the boy and his parents, who come from Amiens in France, were brought across from the grandstands to the F1 paddock, where the boy got to meet Raikkonen and have some time with him. He was given some signed Ferrari merchandise and spent the rest of the afternoon walking around the paddock meeting people, who had all been moved by his story. It was a good example of the way F1 has opened its outlook and the story created a huge buzz on social media.